Five titles for Hamilton, five wins for Verstappen, five years of pain for Vettel…as well as thoughts on next season, Ricciardo, Renault and more in our conclusions from the Mexican Grand Prix. Perhaps historians will look back at Mexico 2018 as the year that the past, present and future of Formula One intersected in a race of contrast and drama. Lewis Hamilton always said his objective in Formula One was to match Ayrton Senna’s three titles. 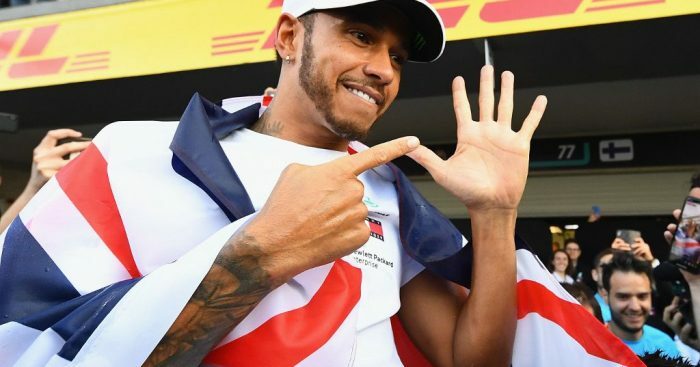 Almost ten years to the day since he won his first, Hamilton has gone two better and elevated himself to the pantheon of Juan Manuel Fangio and Michael Schumacher as men to have won five (or in Schumacher’s case, more than five) titles. Although Toto Wolff said winning the Championship was “fantastic”, it is a testament to both Mercedes and Hamilton’s drive for excellence that the team boss said he found it difficult to celebrate because the Silver Arrows could only manage fourth and fifth in the Mexican Grand Prix. As for the season as a whole, “peerless” is the word Mercedes technical director James Allison used to describe Hamilton. It is true that Hamilton has been flawless all year: he won when the Mercedes was quick but also exercised damage limitation when the car lacked pace against the Ferraris and Red Bulls – much as he did this Sunday when the Mercedes mutilated its tyres. 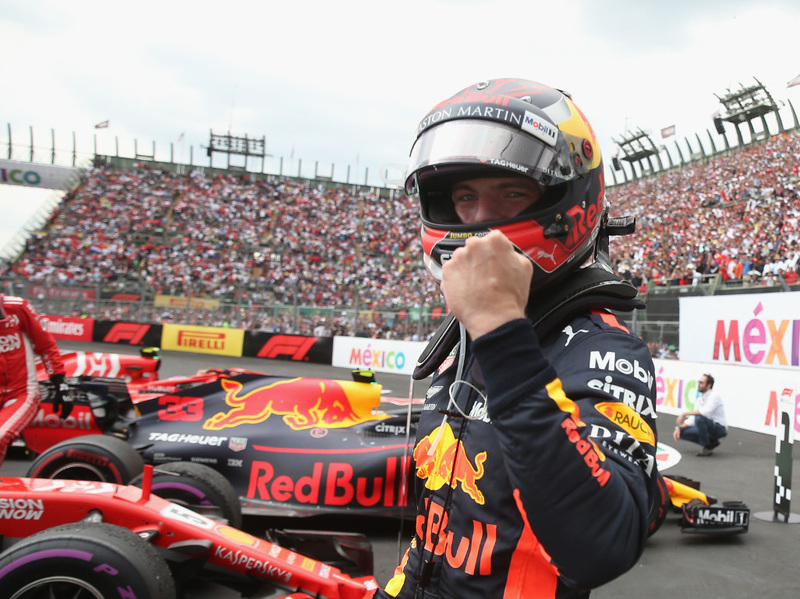 But with a fifth career win, Max Verstappen’s drive in Mexico underscores his status as the man to beat in the coming decade. It was yet another mature drive from the Dutchman, who said on team radio that Red Bull should “turn down the engine” after Daniel Ricciardo’s latest heartbreaking retirement. Five wins is a more than decent return in such a short career, not least because Red Bull has, in the hybrid-turbo era, generally struggled due to a power deficit to Mercedes and more recently to Ferrari. Just what will Verstappen be able to achieve in equal or better machinery? The Red Bull threat, of course, explains why Wolff and Allison showed such consternation after Sunday’s race. Mercedes destroyed their tyres and were well off the pace – which is highlighted by the fact that Valtteri Bottas was lapped by the race winner. The season isn’t over yet, with Brazil and Abu Dhabi to come, but next season’s prospective competitive order is already taking shape. Red Bull will have to go through some growing pains as they adapt to Honda power but there is a feeling in the paddock that the team have made the right move in taking on the Japanese power unit. And lest we forget that Vettel and Kimi Raikkonen have shown in the last two races that Ferrari are most definitely in the mix for race wins. It was on 27 October 2013 that Sebastian Vettel clinched his fourth title with Red Bull. At the time he said to the team that they should “enjoy these moments, because you don’t know how long they will last”. These were prescient words from the German, who subsequently left Red Bull for Ferrari, where he has been in the running for titles in 2017 and 2018 only to lose both to Hamilton. Vettel’s charge from fourth to second in Mexico represents something of a redemption, though, as it was his first podium since winning in Spa and he also went wheel to wheel with both Ricciardo and Hamilton and came out on top on both occasions. Still, on balance Ferrari have probably had the better package and Vettel will reflect on a season of ifs and should haves. Between Verstappen winning again and Hamilton claiming a fifth title, Vettel’s P2 in Mexico must be the least satisfying podium of his career. Ricciardo defied the form book and expectations on Saturday to pip Verstappen to pole position with an epic lap in the shootout. In a matter of six days he went from punching a hole in the wall in Austin after retiring there, to “tripping major nutsack,” as the Australian, saying the most Australian thing ever, described being on pole position. But Sunday in Mexico proved to be a day to forget. Ricciardo looked to be heading to second at best and third at worst when a suspected hydraulic issue forced him to retire, his 12th retirement in his last 30 races. Both for Ricciardo’s sake and the sport, let’s hope the 2019 Renault is both competitive and reliable. * Nico Hulkenberg, who will partner Ricciardo at Renault next year, bagged a second straight sixth place to demonstrate that progress, albeit slow, is being made. While Renault have shown flashes of speed – most notably in practice sessions in Mexico – the French outfit still have a lot of work to do to close the gap to the Big Three. * Charles Leclerc finished seventh in his third to last race for Sauber, before his big move to Ferrari. It was another assured drive from the youngster, who just recently turned 21, and was a welcome return to the points after retirements in Austin and Suzuka. * Stoffel Vandoorne equalled his best result of the season with a strong drive to eighth place. The Belgian hasn’t scored points since Baku but it’s all come to late to secure a seat in F1 in 2019. Likeable as Vandoorne is, he just hasn’t been good enough. * At the other end of the spectrum: a word for Pierre Gasly. The Toro Rosso man started last and capitalised on the misfortune of others while driving smartly to claim an excellent tenth. His promotion to Red Bull is an exciting prospect. How will he compare to Verstappen?